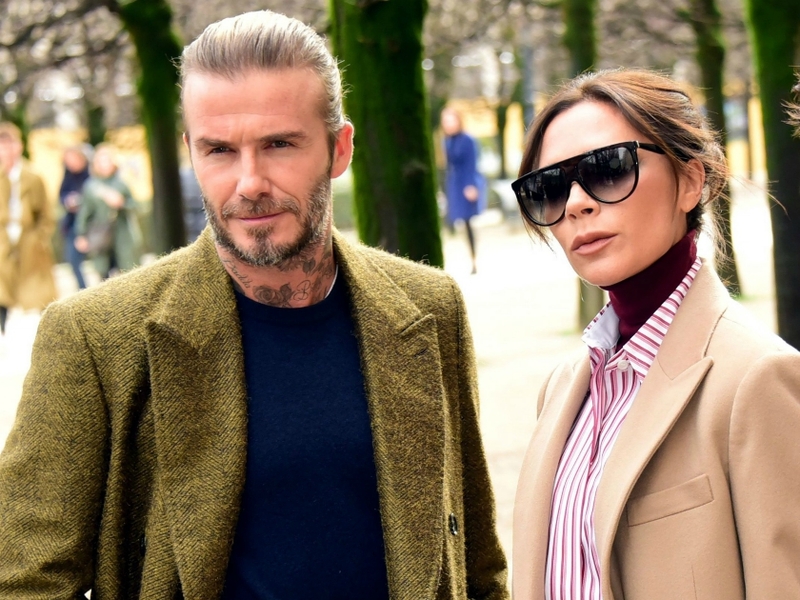 Currently reigning as the most famous family (possibly ever), David and Victoria Beckham are definitely living their very best lives. When they’re not busy being super adorable with their brood of five, they’re delivering major career envy – with a side of wardrobe goals too. And it would appear that the popular fivesome are keeping it in the family – as their relatives are just as cool. In fact, having enjoyed a recent night out with their extended family, Victoria has left fans speechless over the uncanniness between herself and younger sister Louise. Taking to Instagram to update fans on their family knees-up, living it up at the Haig Club House Party in Notting Hill, 44-year-old VB shared a snap of herself and Louise striking a pose. Both dressed in darker colours, with VB in a sheer black top and saucy bralette and Louise in a crushed velvet wraparound blazer, we can’t get over how similar the sisters look. ‘Kisses to a very special person. I love u so much @louiseadams,’ Vics captioned the sweet snap. Quick to point out how much the duo are twinning, fans have shared a range of comments for Victoria and Louise. Taking to her Instagram story, VB shared another update from her night out – cuddling up to Louise and her friends and family for the intimate shot. In the following post, the mother-of-five then enjoyed a warm embrace with her brother Christian. ‘Love u @christianadams_79,’ she captioned the shot. Can we come along next time, guys? !